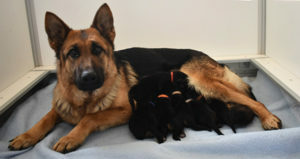 Notta with her litter of 4 males and two females sired by Indiana-Jones vom Silvalacus, IPO3. They were born on February 26. Two males available, $2500 pet companion. 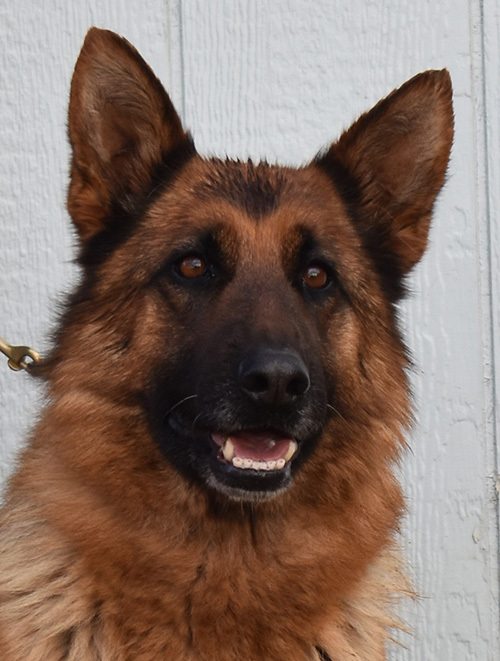 Anika vom Dortmunder, A-Normal Hips/Elbow, 4 years 8 months, Needs to be only dog, Crate trained, Needs Spayed and Gastropexy, Had Basic OB Class but will need refresher. 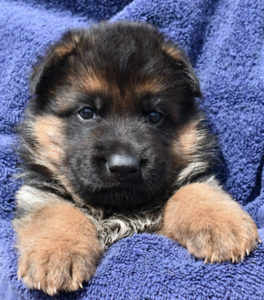 German shepherd puppy for sale range from $1800 to $2500, depending on the litter. 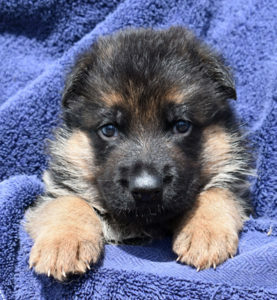 We keep a list of people who have confirmed they want purchase a German shepherd puppy. We require a $300 deposit which you may do on this page using the Buy Now button through PayPal. This deposit is nonrefundable except in situations that are beyond the buyer’s control. 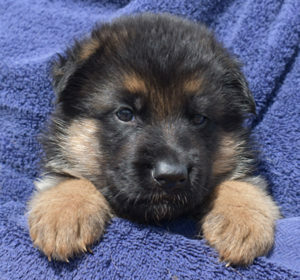 Buyers may choose their German shepherd puppies in the order in which they placed a deposit. When they go to their new homes, they will have been checked by a veterinarian and given their first set of shots. We are also very careful to match each new owner with the puppy that most fits their needs. 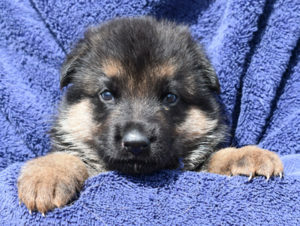 Baerental German Shepherds reserves the right of first pick male and/or female for our breeding program. We serve primarily Texas, Arizona, New Mexico.